The Long Island Press took home 21 awards at the New York Press Association (NYPA)’s 2013 Better Newspaper Contest held at the Gideon Putnam Resort in Saratoga Springs April 4th and 5th. The annual awards competition, spring convention and trade show recognizes journalistic excellence across newspapers and media organizations throughout New York State, and has been held each year since 1930. The Press swept NYPA twice in the past three years—dominating its 2010 and 2012 contests and earning top prizes in nearly every category, in addition to bringing home the competition’s highest honor, its Stuart C. Dorman Award. This year’s contest included 2,760 entries submitted by nearly 160 newspapers vying for accolades across 63 categories, including editorial, design and photography, in addition to Newspaper of the Year, the Dorman award and John J. Evans Award for Advertising Excellence. It was judged by members of the Pennsylvania NewsMedia Association. The Press, which only published 12 issues last year, came in second overall, with top honors yet again across nearly every category. These included: coverage of business, financial & economic news, education, coverage of the environment, arts, religion, crime/police/courts, in-depth reporting, news, spot news, news or feature series, column, and best use of social media and multimedia, among others. Press Managing Editor Timothy Bolger, Publisher Jed Morey and Multimedia Reporter Rashed Mian brought home First Place honors in the Coverage of Business, Financial & Economic News category, for a multi-story entry that included Bolger’s investigative cover story “There Goes The Neighborhood: Foreclosed Homes Shelter Crime, Threaten Communities,” Morey’s probing expose “New Fox, Same Henhouse: How Wall Street Cornered The Market By Taking Control Of The World’s Most Important Financial Benchmark,” and Mian’s feature story “Hollywood East,” a colorful, in-depth look inside Nassau County’s burgeoning movie industry. In the Coverage of the Environment category, Bolger’s feature story “Gas Pains,” about a proposed LNG terminal off LI’s South Shore, was combined as part of a package with Press Editor in Chief Christopher Twarowski’s investigative cover story “Atomic Warfare”—documenting the struggles of sick and dying workers who unknowingly toiled atop a former nuclear waste site in Hicksville without ever being informed of its hazardous past by state regulators nor its owners—to also clinch a First Place nod. “The writers did an excellent job of drilling down to the local level, while painting the bigger picture,” judges wrote of Bolger, Morey and Mian’s Business, Financial & Economic News entries. Bolger, Twarowski, Mian and Press contributor Shelly Feuer Domash took First Place honors in the Coverage of Crime/Police/Courts category with a package that included Bolger’s “Gangland” feature about Suffolk police’s attempts to quell deadly gang-related shootings; Feuer Domash’s investigative cover story into the infamous $6 million theft at JFK Airport’s Lufhansa Terminal, titled “The Heist: Nassau Cop Breaks Silence on Mob Case that Left 16 Dead, $6M Missing;” her exclusive interview with now-disgraced Nassau County Police Commissioner Thomas Dale, “Law & Order;” Mian’s cover story “Officer Down,” an in-depth probe into permanently injured Suffolk Parks Police Officer Kevin O’Connor’s quest for justice; and the investigative “Protect and Serve: New Revelations in NCPD Conspiracy Case,” by Feuer Domash, Bolger and Twarowski. “This entry far exceeded all others in this category in ambition and execution,” the judges praised. Twarowski, Mian and Morey earned top-spot First Place honors in the Best Use of Multimedia category for their intrepid, behind-the-scenes probe into the court martial of whistleblower U.S. Army Pfc. Bradley (now Chelsea) Manning and the ongoing Information War being waged by the U.S. government against dissenters and whistleblowers of all creeds and backgrounds, from journalists to NSA contractors, and the handful of activist-journalists who made it their mission to cover the proceedings no matter what obstacles stood in their way. Besides the written story, titled “Revolution’s Family Tree,” the entry included interactive artwork depicting the historical evolution of dissent, from Sam Adams and Benjamin Franklin to Manning and Edward Snowden, a photo gallery and nearly 10-minute long mini-documentary filmed throughout Washington, D.C. and onsite at the U.S. Army base and NSA headquarters in Fort Meade, Md. That artwork also brought Press Art Director Jon Sasala First Place honors in the Graphic Illustration category; he also took Third Place honors in the same category for his eye-popping detail on the “New Fox, Same Henhouse” cover art. The Press collectively took home First Place nods in the Best Use of Social Media category for its use of Facebook and YouTube “to keep your audience interested and constantly up-to-date!” exclaimed judges. The Press won First Place in the Special Sections/Niche Publications category for its comprehensive and inspiring healthcare compendium “A Complete Guide to The Future of Healthcare on Long Island 2013/2014,” which included more than a half-down meticulously researched and masterfully written articles by Press Senior Editor Spencer Rumsey. 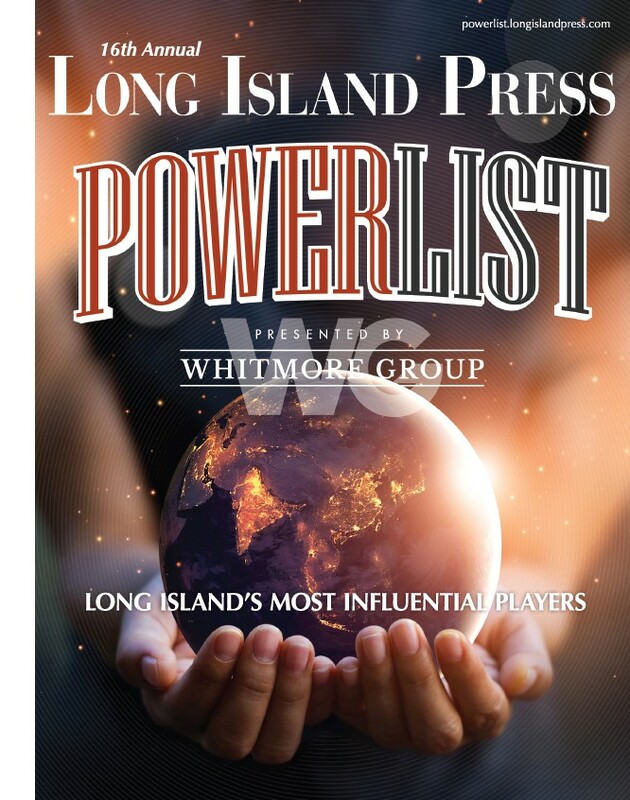 Press Associate Publisher Beverly Fortune brought home Second Place honors in the Best Column category for her “Fortune 52” column, which recognizes the lives and works of truly exceptional women across Long Island who may otherwise not receive such attention. Press Staff Writer Jaime Franchi earned Second Place honors in the Coverage of Education category for her in-depth, exceptionally researched, masterfully crafted, several-thousand-word feature story “We Don’t Need No Education: L.I. Parents & Teachers Revolt Against Common Core,” chronicling the Obama administration’s controversial education reform, its detrimental effects on students, and the growing groundswell of opposition among parents and teachers across Long Island. Rumsey and Twarowski, along with Press contributors Cassidy Kammerer, Catherine Xavier and Steve Smirti collectively were awarded Second Place in the Coverage of the Arts category for a combo entry including Rumsey’s detailed, colorfully written “Abstract Expressionism Reconsidered At the Nassau County Museum of Art” and “Off-Color & On-Target: Ripe Art Gallery Sheds the Skin of Conformity;” Kammerer and Xavier’s vibrant, moving “Sandy Art: Beauty From Devastation;” Kammerer and Smirti’s “Sea Cliff: L.I.’s Artistic Masterpiece;” and “Art League of Long Island: L.I.’s Masters of Fine Art” by Smirti and Twarowski. The Press nearly swept the coveted Writer of the Year category, with Mian clinching Second Place and Twarowski Third Place. Mian also brought home a Second Place nod in the Coverage of Religion category for his cover story “Muslim Americans: Behind the Veil of a Religion Under Attack,” an emotional, insightful probe of the post-9/11 demonization of the Muslim religion. 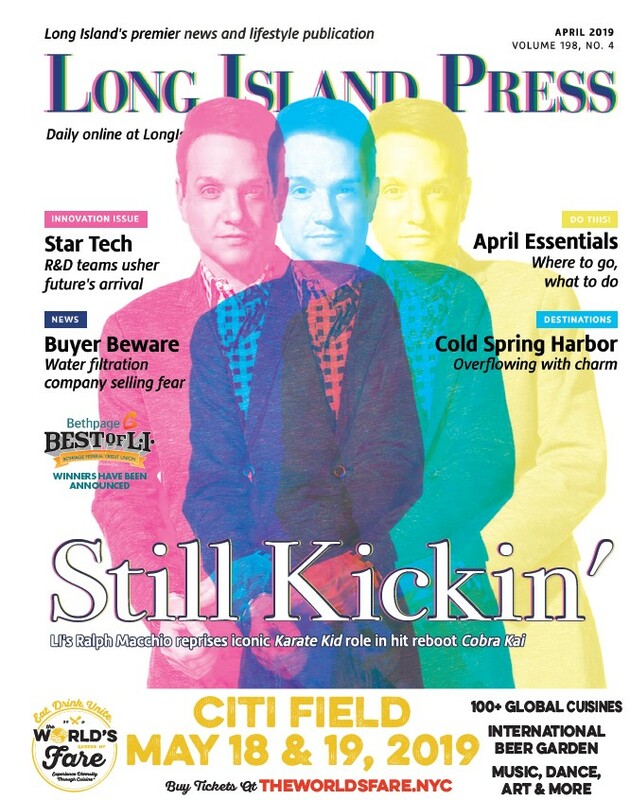 The annual Bethpage Federal Credit Union “Bethpage Best of L.I.” competition brought home Second Place honors in the Best Special Section – Advertising category, and the Press snatched a Third Place nod in the Advertising Excellence category. Rumsey, Bolger, Mian and Twarowski shared an Honorable Mention prize in the Spot News Coverage category for “Roosevelt Field Mall: Loud Noise Sparks Shooting Scare,” a piece published within hours of reports of gunfire at the popular shopping mall during one of the busiest shopping days of the year, Christmas Eve. Team work won the day, with writers discovering and reporting that the source of the reported shots was actually a large display case that had been knocked over by a man scuffling with police during his arrest, not gunfire. The Press also won an Honorable Mention in the Past President’s Award category.